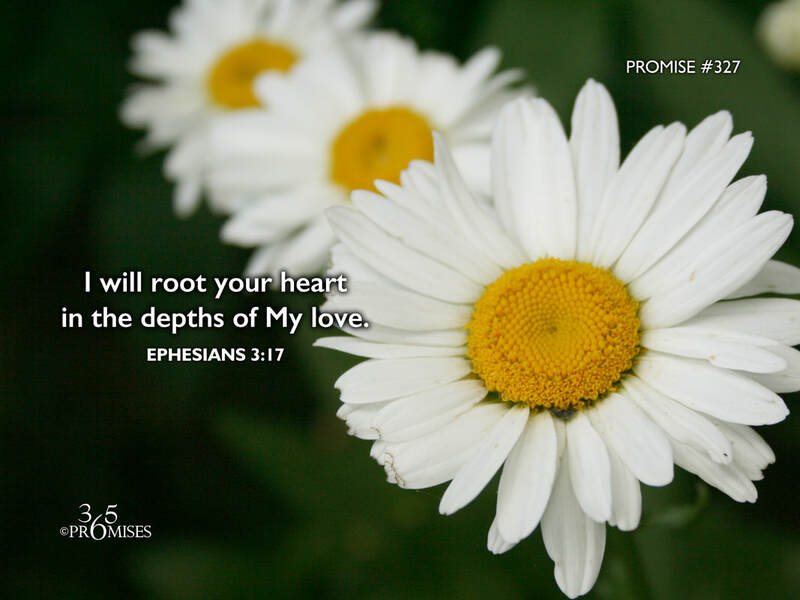 I will root your heart in the depths of My love. 1 John 4:16 says that God is love. The Triune God... Father, Son & Holy Spirit is the perfect expression of love and we are caught up in the very center of their love relationship. Paul the Apostle prays that because of the indwelling presence of Jesus in our hearts, we will be rooted and grounded in love. The life of any plant or tree is the root system they have. If their roots are shallow or not well developed, they are at risk of being blown away or dried up. But the deeper the root system, the stronger the plant or tree is. It is amazing to see how some trees can withstand hurricane force winds just because they have a strong root system. In the same way, the Spirit of the living God wants to root our hearts in the very depths of His love. The more that we become convinced of God's love (Romans 8:37), the more we will know that nothing can ever separate us from His love. The more we become convinced, the deeper our root system goes. Storms won't be able to move us, trials won't be able to cause us to question His love, nothing in all the world will be able to rock this revelation of love that is rooted deep into the heart of our Father. May today be a day where this revelation of love goes even deeper than yesterday, for our Papa's mercies are new every morning.